M. Adelaide (1858–1948). A pioneer in establishing the foundations on which nursing as a modern profession rests. She was in the first graduating class at Johns Hopkins Hospital School of Nursing and eventually became Superintendent of Nurses and Principal of the School of Nursing. At Johns Hopkins, Miss Nutting instituted many reforms and advances in nursing education. She eliminated the 12-hour-duty day, abolished the monthly stipend for students, and instituted a 3-year course. Her purposes in instigating these changes were to release the student from financial obligation to the hospital so that exploitation of the student as a source of cheap labor could be abolished, and to provide the student with more time for study and learning. M. Adelaide Nutting. Special Collections, Milbank Memorial Library, Teachers College, Columbia University. 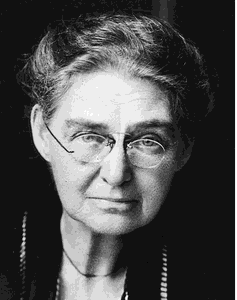 (1858-1947), a Canadian-born American nursing educator and reformer. As head of Johns Hopkins School of Nursing in Baltimore beginning in 1894, she improved course content and teaching facilities, instituted a 6-month preparatory course, reduced the 12-hour day to 8 hours, and abolished the monthly payment system to students. At Teachers College, Columbia University, she created and developed the Department of Nursing and Health and became the first professor of nursing in the world. With Lavinia Dock she wrote History of Nursing (published 1907-1912), a classic in nursing literature. Q. i tend to binge on food and i love nuts!does it pose any health danger if you eat too much of it? i just love spanish peanut and a mixture of cashew,almond & macademia.i eat a lot of it everyday. A. Binge eating is not very healthy, because you tend to eat a lot of everything without even realizing it, and usually it is not all healthy food. About nuts, peanuts, etc. these contain very high amount of fat, and therefore a 100 grams of nuts is equal to 100 grams of oil! They have about 750 calories per 100 grams in them. No doubt they are healthy and the fat in them is saturated (rich in "good" cholesterol), however eating a lot of it will make you gain weight! You should eat about 6-7 nuts a day and that would be enough, because I assume you consume fat in other ways too (oil in cooking, etc.). Q. does being allergic to peanuts mean you can’t eat peanuts as a whole nut? Or should you avoid spreads, cookies, cornflakes etc. as well. A. people allergic to peanuts are, most of the times, a very severely allergic people. it has an astounding reaction that can lead to death because of specks of peanuts in a cookie.